Wonderful day at York Show. 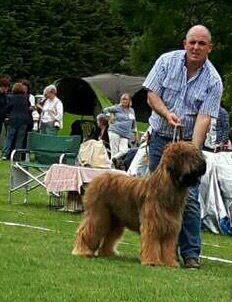 Troy (Fostebrie Spartan) won the Puppy Stakes Class 52 Entries winning £50. Thank you to the judge Patsy Hollings. He also won BAVNSC Adult, BAVNSC Puppy, Adult Group 4 & Puppy Group 2. Under judge Karen Kennedy.